Built in bottle opener. Arrives in assorted solid colors only. Gloss plastic finish. 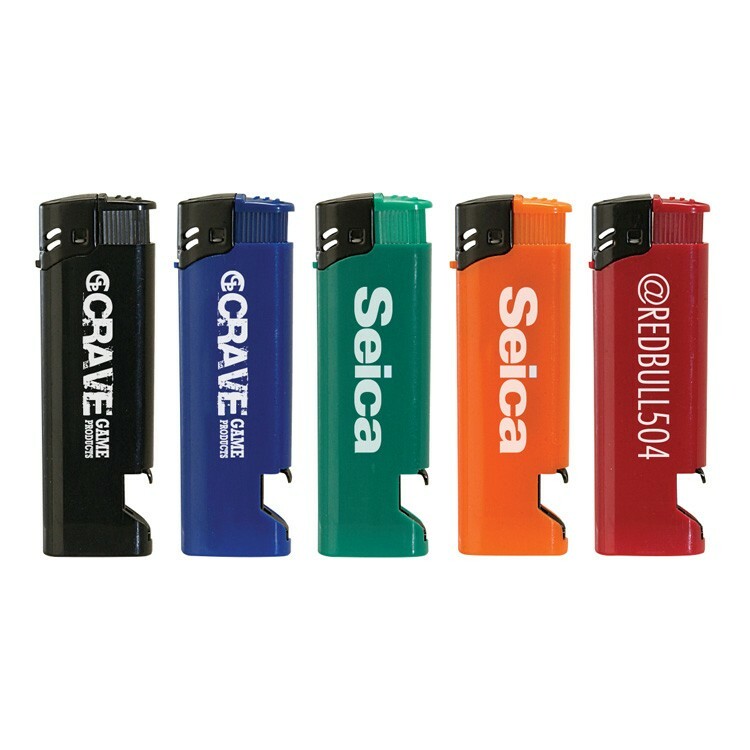 Electronic lighter. Standard flame. CPSC Approved. Child resistant mechanism. HazMat Shipping - $30 per case via FedEx Ground, $100 via FedEx Overnight. Imprint Area: 1 7/16" x 7/16"